Arguably the best bred stallion on the Darley America roster, Astern's pedigree would stand strong when compared with any stallion standing in North America. To illustrate our point, we compared notes with our farm in Australia to find those races in North America that would best describe the quality of runners that you will find in his pedigree. 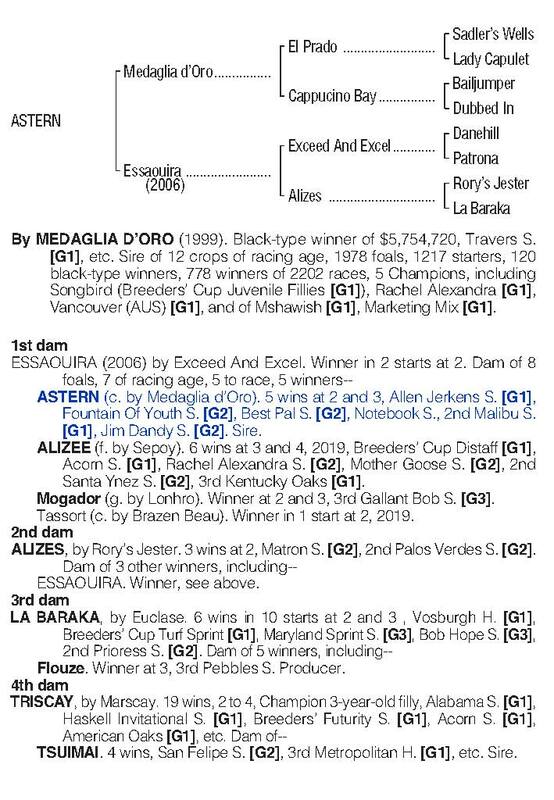 For example, Astern's own win in the G1 Golden Rose compares directly with our G1 Allen Jerkens (formerly the G1 King's Bishop), the G2 Run to the Rose would parallel the G2 Fountain of Youth and so on. 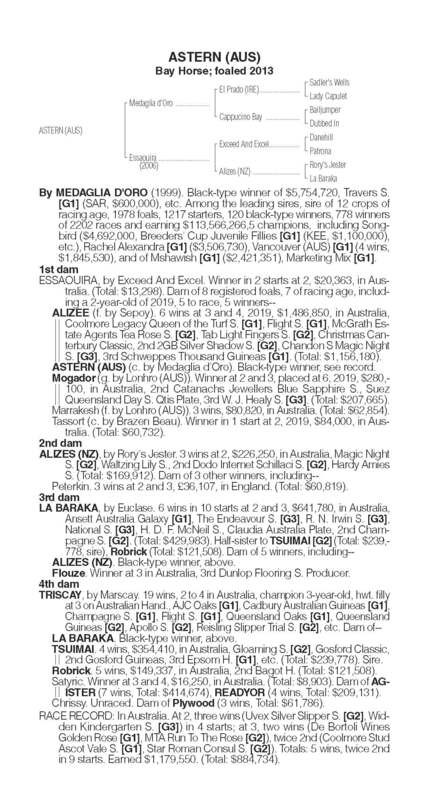 An interesting comparison and one that we feel will assist breeders considering Astern in making an informed and educated decision about Medaglia d'Oro's best rated son whose female family is second to none. If you care to speak further with a member of our nominations team about Astern, please call them on (859) 255-8537.